We were walking along the 300-meter boardwalk along Bangkok’s Chao Phraya River when the shadows of the Mekhong Ferris wheel loomed before our path. Please tell me we’re gonna ride that, I half-begged one of our hosts. Sure, he says, let’s go! Like, right now. And within minutes, the wheel was opened and we were let on. 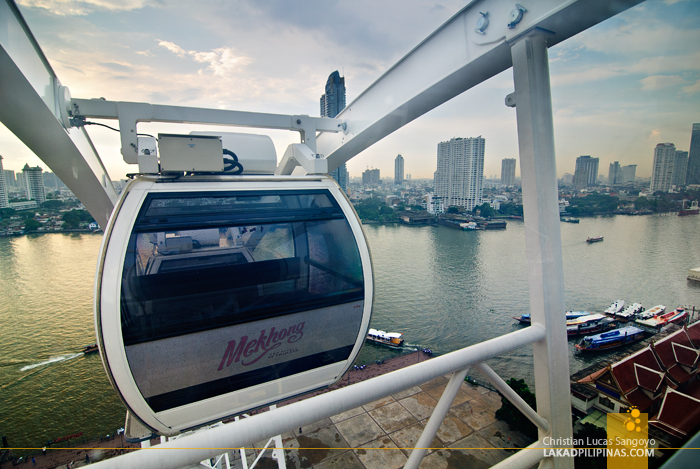 In groups of four, we boarded the Mekhong and spun slowly upwards. 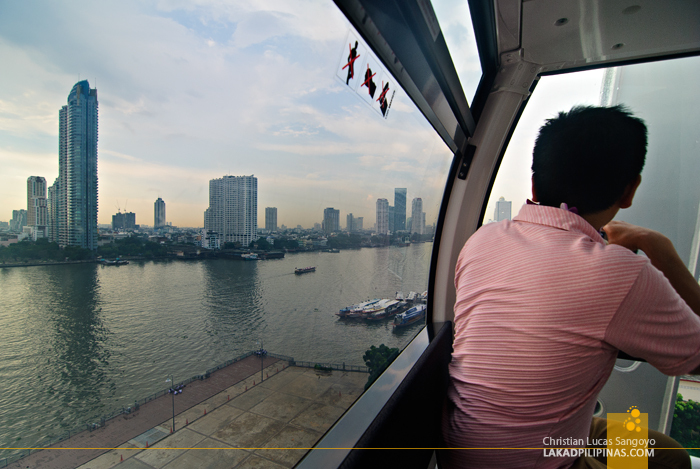 The river rose from view and soon the Thonburi side of the Chao Phraya presented itself to our lenses. Nothing but camera clicks interspersed with sighs of appreciation were heard during the entire ride. On our way out, I found that the Ferris wheel, which is the tallest of its kind in Thailand, only operates in the evening; apparently, we were bosses like that. 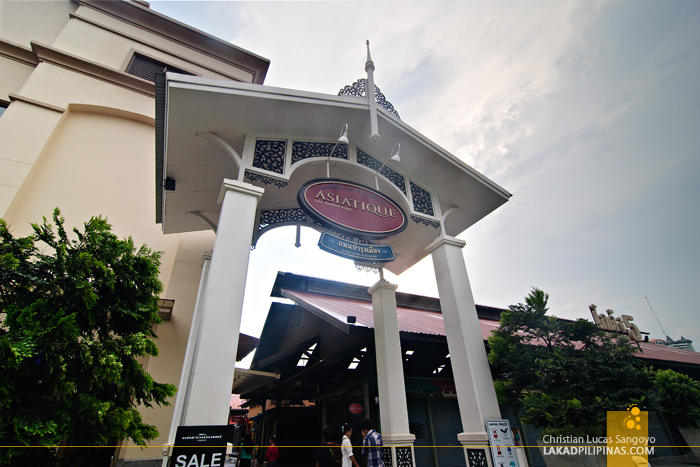 Asiatique The Riverfront is a popular landmark and tourist spot in Bangkok. Currently, it has a total of 1,500 stores and 40 restaurants divided on several districts depending on its products and specialties. These are housed inside restored old structures that were once the center of teakwood trade during the 1900’s. 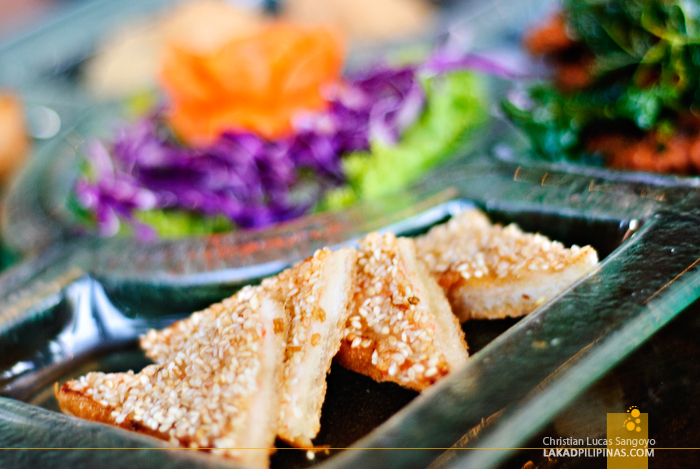 In fact, its name is derived from Asiatic, a Danish freight company during those days. 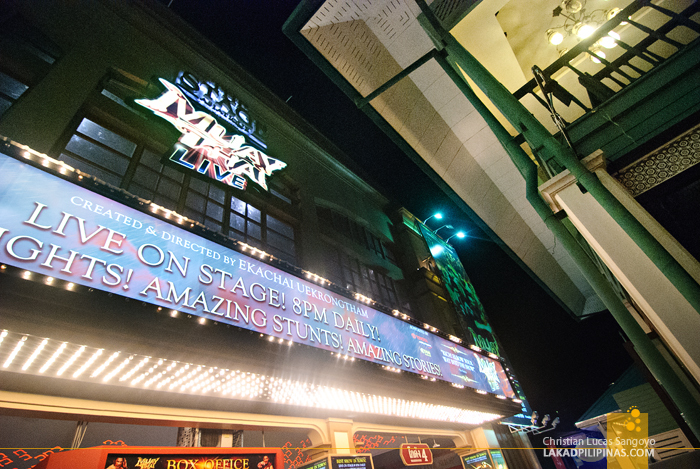 The place comes alive during the evenings with stores starting to open during the late afternoons. The best way to get there is by the free shuttle-boat from the Taksin Pier near the BTS Skytrain system but one can also access it via the numerous cabs in the city. Our group didn’t really have a chance to shop since most of the stores were still closed; yes we were quite the early birds, but a few restaurants have already opened and we were able to check some. 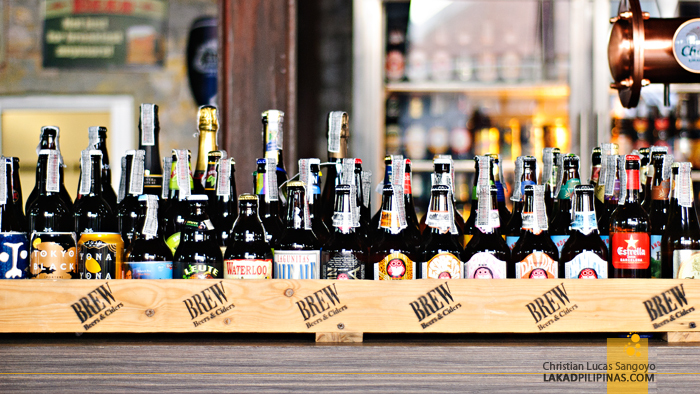 One of the most interesting I saw was the Brew Beers & Ciders which has a total of 380 different beers from all over the world in stock. Wow, I want my Red Horse! Lol. 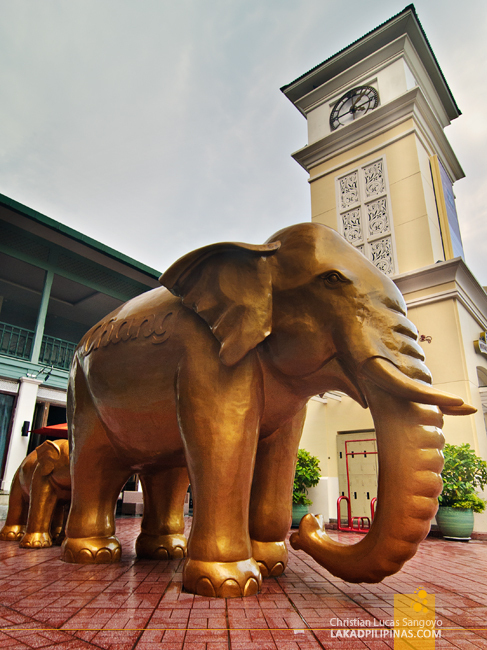 While we’re talking beers, I also saw a life-sized sculpture of Chang beer’s elephant mascot. 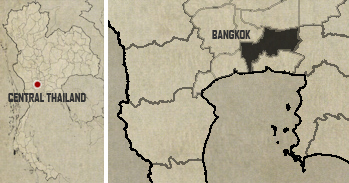 It was only later that I realized that the Thai word for elephant was also Chang. So… I’m now unsure if it’s really the beer’s mascot or what. Then it was time to eat once again. A long table was set up at the Joe Louis: The Art of Thai Cuisine, one of the most unique restaurants not only at Asiatique The Riverfront but the whole of Bangkok itself. We’re not talking of Joe Louis the boxer here, but the famous Thai puppeteer who revived the traditional Thai small puppet show in the mid-eighties. While enjoying our early dinner, three guys all in black came out holding a Hun lakorn lek puppet on sticks. Yes, it apparently takes three people to manipulate it into various moods and positions. And they’re quite good at it too; never missing a beat with their deadpan, no-look performance. Done with the almost hour-long performance, we soon finished the plethora of Thai dishes served and headed to the Muay Thai Live: The Legend Lives show. It’s my first time to witness a show of this kind, never having seen a real Muay Thai performance nor a staged one. Muay Thai Live, even if it is staged, is quite physical and very dangerous for the actors involved. It’s so dangerous that audiences are strictly prohibited from taking photographs, lest someone unintentionally lights a flash and distract the performers. It can lead to serious injuries, even death, one of the organizers told us. Even without photos to show, the performance was freakin’ amazing. 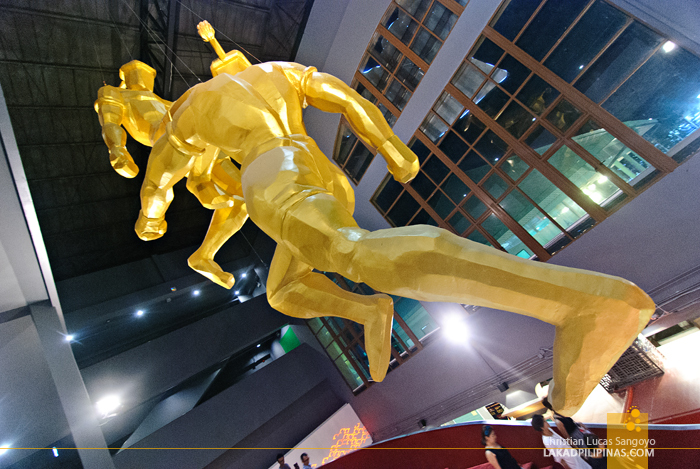 Muay Thai Live took us from the sport’s traditional beginnings, all the way to what it is now. The guys staged very realistic stunts that simply left our jaws hanging. Its production may not be at par with the legendary Siam Niramit show, but its choreography, timing and execution were very, very good. 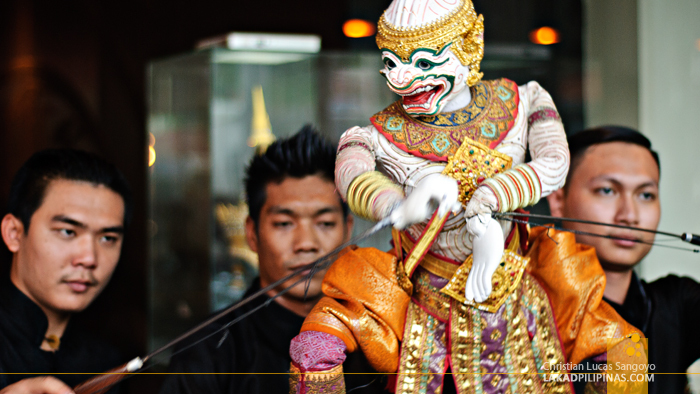 Endless shopping, fun rides, uncountable beers, delectable food and superb traditional Thai performances, what more can we ask for? 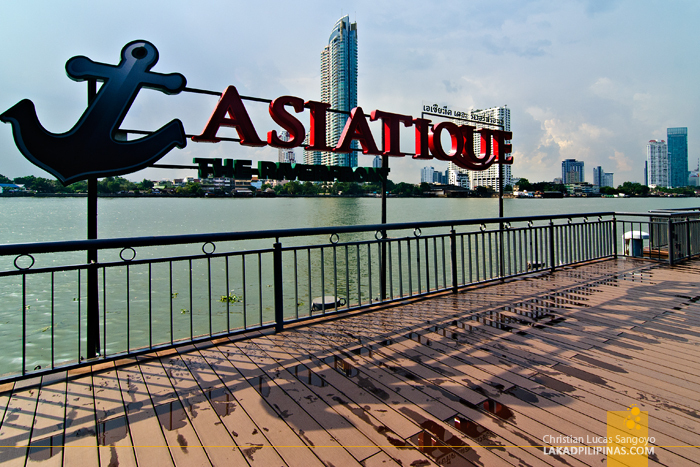 It was a well-spent evening at the Asiatique The Riverfront. 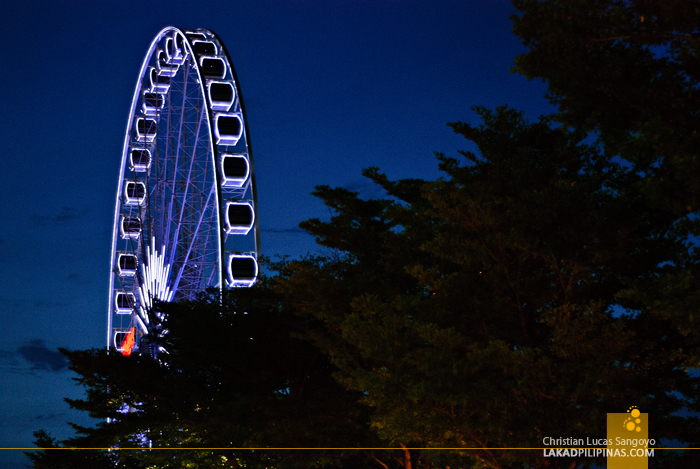 And as we went out of the complex, I looked back and saw the Mekhong wheel shining bright against the blue twilight sky. That Ferris wheel has not seen the last of me yet, I thought to myself. But next time I want to do it properly, I want to ride it during the evenings when the city of Bangkok is at its most beautiful.